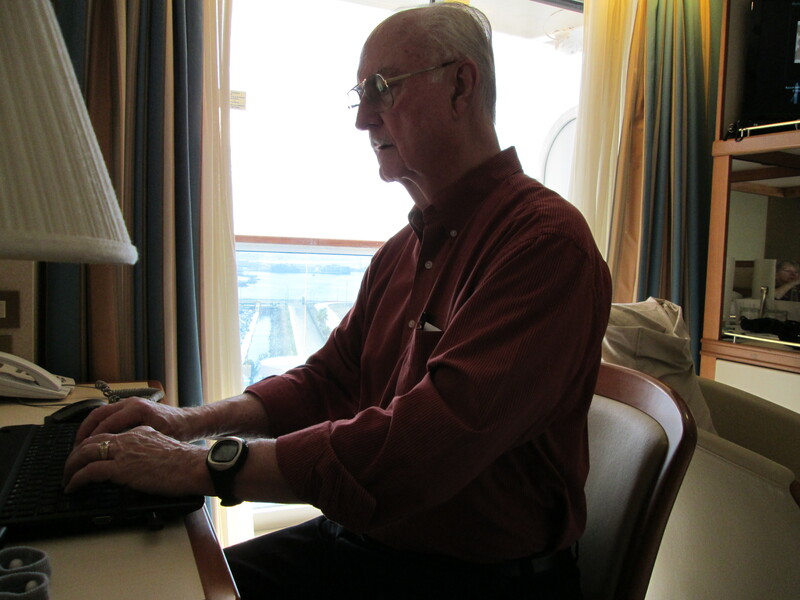 I managed to get in some writing while cruising onboard the Crown Princess this past week. 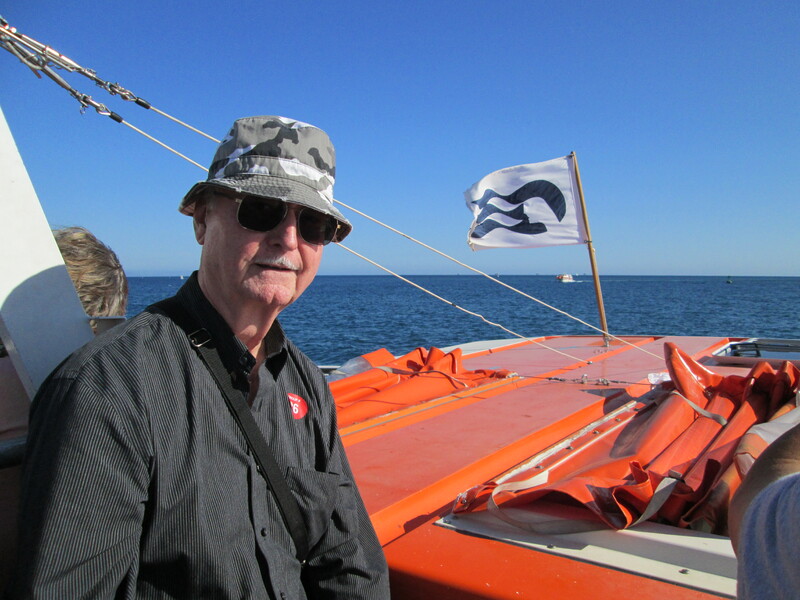 My wife, Barbara, and I embarked from San Pedro harbor in Los Angeles on Saturday, October 3, on a seven-day California Coastal Cruise. We returned to the same harbor on Saturday, October 10. 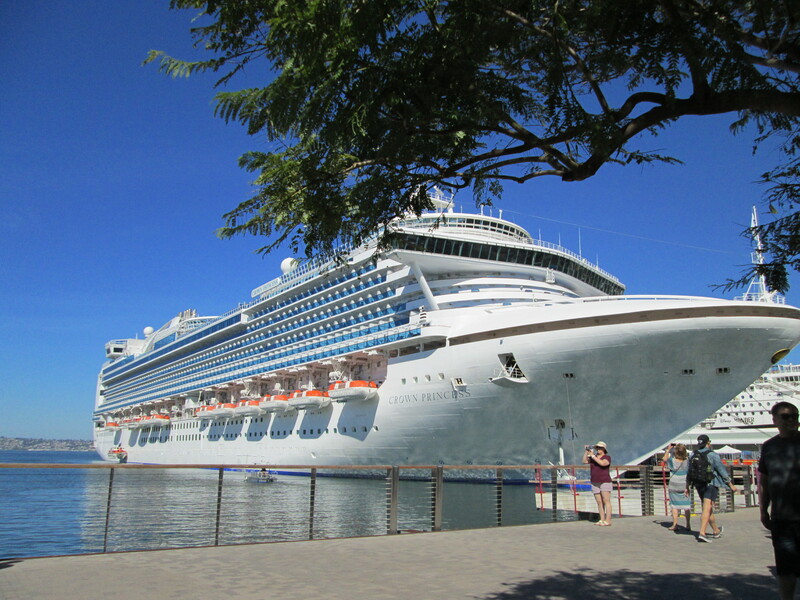 Our ports of call included San Francisco, Santa Barbara, Ensenada in Mexico, San Diego, and of course, Los Angeles. 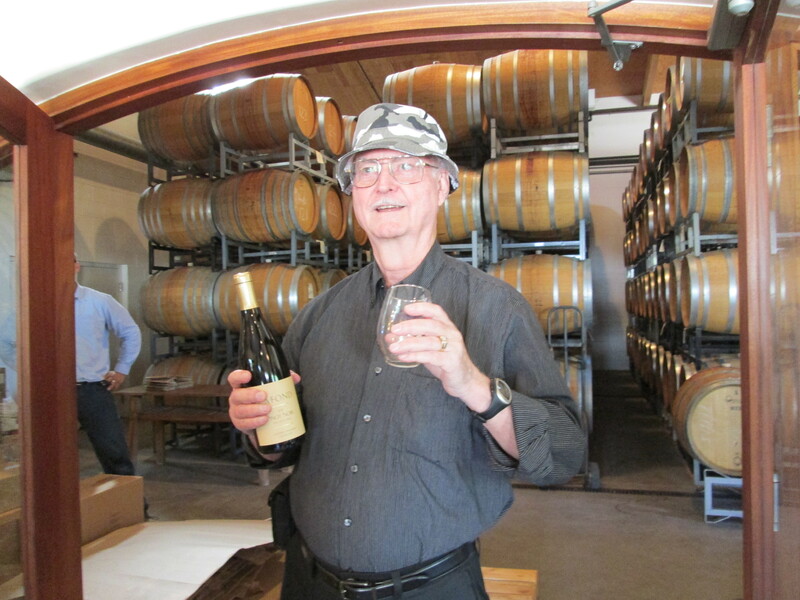 During the cruise, I did research at various wineries in Sonoma County and the Santa Ynez Valley. 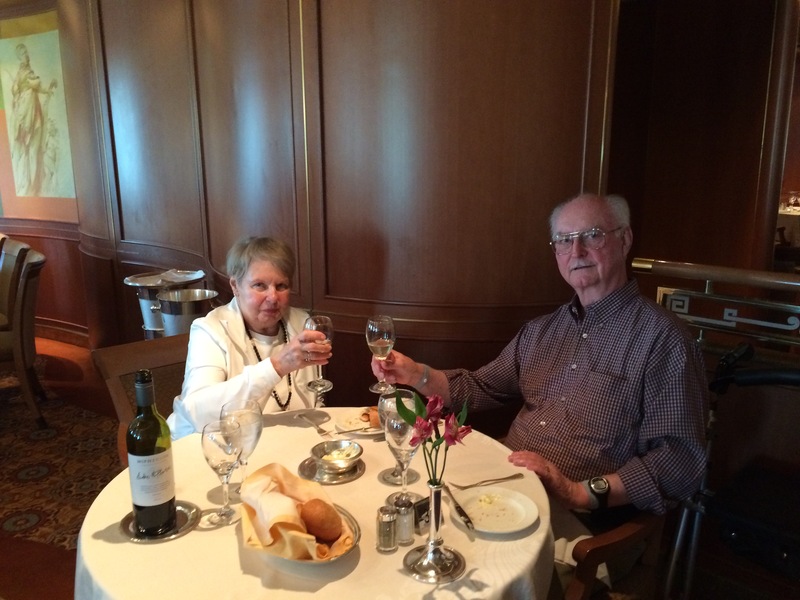 I used this newfound knowledge each evening when selecting the wines to accompany the fabulous cuisine Barbara and I enjoyed onboard the Crown Princess. Not only was the food great, but the service was impeccable. I have yet to discover how I will convey this information on the pages of The Iron Horse Chronicles. While at sea, cruising between destinations, I pecked away at my laptop’s keyboard and completed Chapters 48 and 49 of Golden Spike, The Iron Horse Chronicles–Book Three. Now that I am back home in Nevada, I must hustle along to complete the final chapters in this concluding book in the trilogy. Then, I must embark upon the editing process before the manuscript will be ready to submit. 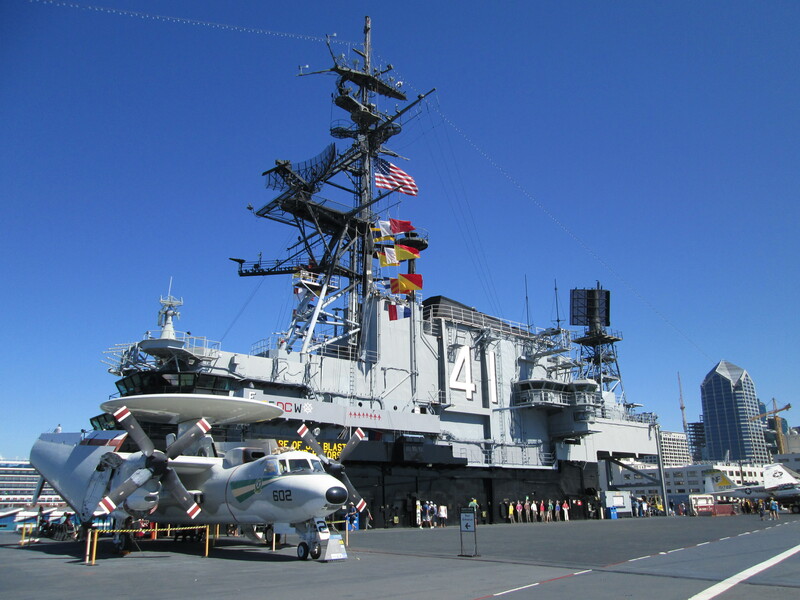 In San Diego, The Crown Princess docked adjacent to the USS Midway Museum, and I spent several hours exploring this historic aircraft carrier and its wonderful tribute to our nation’s sailors and marines. The deck of the carrier is longer than three football fields and almost as wide as one. Will Braddock, who thought the 4-4-0 locomotive was the biggest man-made machine he’d ever seen, would be amazed to know that all 145 locomotives and tenders owned by the Union Pacific at the time of the driving of the Golden Spike in 1869, plus all 170 Central Pacific locomotives with their tenders, could be parked on the deck of the USS Midway with room to spare. Barbara and I enjoyed a relaxing cruise. I am pleased that I was also able to do some writing while we enjoyed our vacation. Always the intrepid sailor, I bid you a fond adieu until my next adventure at sea (or along the rails). This entry was posted in Central Pacific, Geography, Golden Spike - Book Three, Iron Horse Chronicles' Characters, Museums and Parks, The Iron Horse Chronicles, Transcontinental Railroad, Union Pacific, Writing and tagged Adventure Fiction, Bear Claws, Eagle Talons, Fictional Character, First Transcontinental Railroad, Frontier Fiction, Golden Spike, Historical Fiction, Historical Parks, Locomotives, Middle Grade Fiction, Museums, The Iron Horse Chronicles, Transcontinental Railroad Locomotives, Western Fiction, Will Braddock, Young Readers. Bookmark the permalink. I enjoyed the blog and look forward to following Will Braddock’s adventures in the next installment of the Iron Horse Chronicles. Thanks for the comment, Mark. Bear Claws hits the bookshelves on November 18. Thank you, Joanne, for your comment. It was a good trip.